When it comes to buying new furniture, we know you’re looking for comfort and great prices. 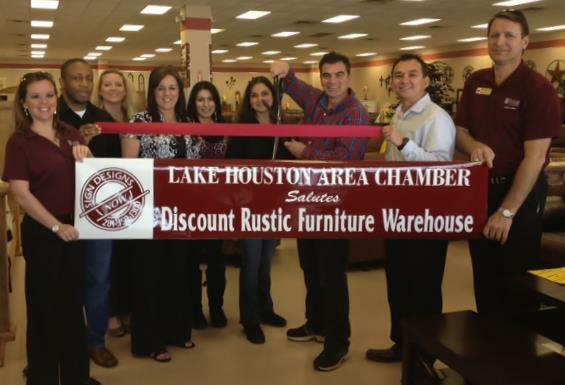 We are a locally owned and operated retail furniture store. Our salespeople are very friendly and knowledgeable. Come shop with us for the best selections. We specialize in rustic style furniture made with real wood. We know everything about these products so we can help you throughout your purchase process, whether you’re buying pieces right off our showroom floor or doing a special order for a custom piece. You will benefit from expert advice and professional delivery. Shop with us for the best selection and some of the lowest prices in the area. Would like price on the following items and delivery price/information for Spring, TX. -Also, are the table and chairs available in a different color stain?